Twitter Reaches 200 Million Tweets A Day, But How Many Come From Bots? Twitter just crossed another huge milestone. People are now sending 200 million tweets per day across the service. This is up from 65 million tweets per day a year ago, or about 200 percent growth in a year. Last March, Twitter reported 140 million tweets per day last March. Way back in January, 2009 people were only sending 2 million tweets per day. Well, “people” is perhaps a generous term. Twitter is filled with automated bots Tweeting out, as well as feeds from publishers. It is not clear how many of those 200 million Tweets a day are automated versus individually hand-crafted. And a small percentage of power users (maybe 20,000 total) reportedly account for half of all Tweets with links, for example, (although this is based on a study that only looked at data through March, 2010 and may now be outdated). But other data suggests that Twitter’s audience keeps on growing. 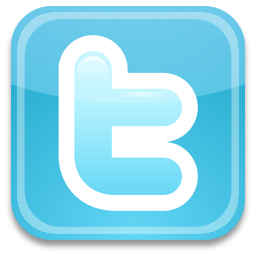 ComScore estimates that Twitter.com alone attracted 139 million unique visitors worldwide in May, 2011, a 54 percent annual increase. 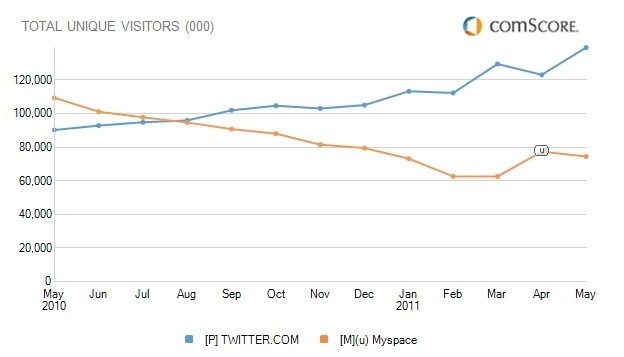 On a worldwide basis, Twitter is bigger than MySpace. In the U.S., however, traffic is up only 12.5 percent to Twitter.com, which attracted an estimated 27 million unique visitors in May, 2011.